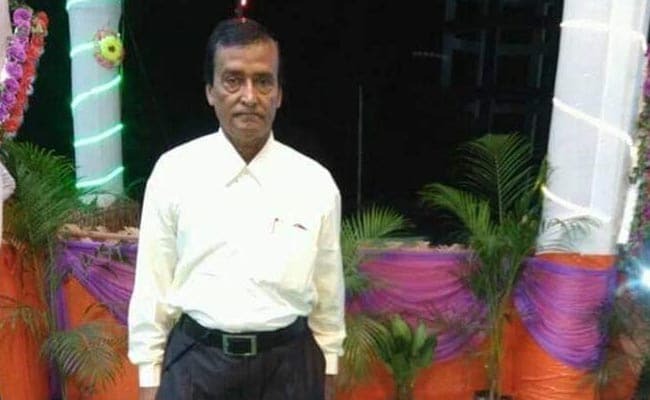 A retired school teacher-turned-lawyer in Assam, distressed at his name not being included in the controversial citizens' list, committed suicide on Sunday. This is the third case of suicide after the draft National Register of Citizens (NRC), that excluded 40 lakh people, was published earlier this year. 74-year-old Nirod Kumar Das, who practised law after retirement, was found by his family members, hanging in his room at his home in Assam's Mangaldoi, about 100 km from capital Guwahati. He was found hanging after he had returned from his morning walk, a police officer said. Mr Das studied law after serving as a teacher at a government school for 34 years. In his suicide note, Mr Das claimed that he has decided to take the drastic step to "escape the humiliation of being marked as a foreigner after the NRC process," his family members said. He blamed no one and asked his family to return money to five people whom he owed Rs. 1,200 each. Except Mr Das, all the others in his family - his wife, three daughters, their husbands and their children - were included in the list, police said. Schools, colleges, markets, shops, banks and private offices are closed today in north-central Assam's Kharupetia town after a students' group called for a day-long shutdown to protest against the exclusion of Mr Das' name from the draft National Register of Citizens. Nirod Kumar Das' family said he was upset when a local NRC processing centre informed him that he had been marked a 'foreigner' and was given a document about two months ago. Mr Das was also recently served a notice from the Foreigners' Tribunal. Agitated family members and locals refused to allow the police to take his body for autopsy on Sunday, demanding action against the NRC centre for marking him a 'foreigner'. They relented only after the district deputy commissioner and superintendent of police went to the lawyer's house and assured them of a probe to find out why Mr Das' name was excluded and how he was marked as a 'foreigner'. Last month, a 37-year-old man in Assam committed suicide after his mother's name was not included in the citizens' list. The update of the National Register of Citizens, a Supreme Court-monitored exercise to identify genuine Indian nationals living in Assam, excluded more than 40 lakh people from the draft list published on July 30, triggering a political controversy and uncertainty among the people of Assam.